Motorhome door lock from Zadi complete with steel mechanism. For use on doors with a thickness between 28mm and 34mm. Complete with Zadi lock barrel & 2 keys. 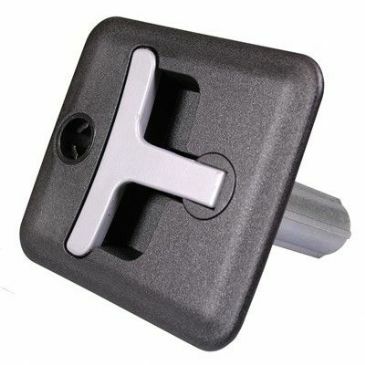 Commonly used door lock for use on locker / garage compartments. Delivered complete with Zadi barrel & 2 keys. Very popular lock system in the market-place. Both circular handle and bolt mechanism are supplied as a kit. Very popular lock system in the market-place. 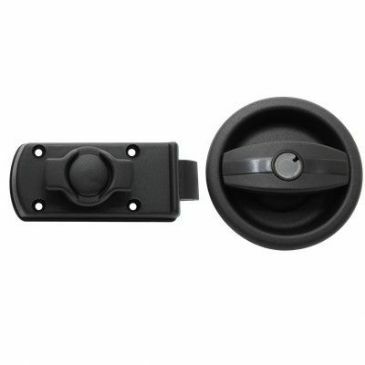 Both circular handle and bolt mechanism are supplied as a kit. Twist handle is no longer supplied with barrel and 2 keys. Black, right hand. Very popular lock system in the market-place. 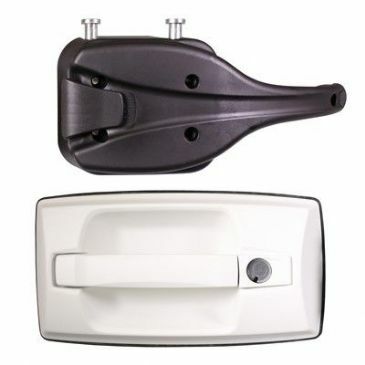 Both circular handle and bolt mechanism are supplied as a kit. 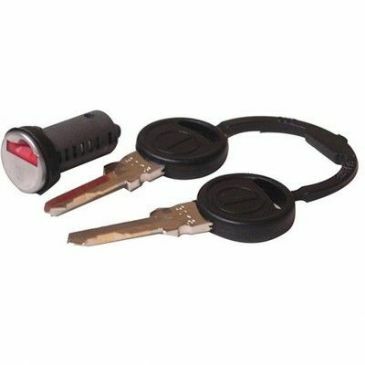 Twist handle is supplied with barrel and 2 keys. White, right hand. ZADI Replacement barrel & keys.